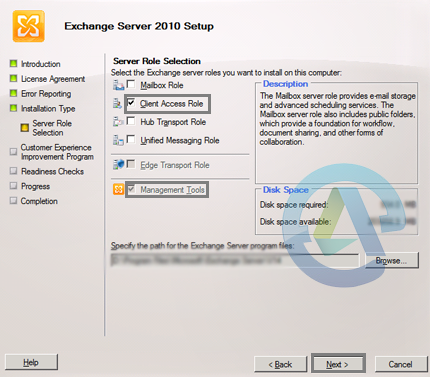 In this blog we see how to move mailbox from exchange server 2010 to exchange server 2016 by using Exchange Admin Center. Open Exchange admin center and sign in. Go to recipients>migration and click; select Move to a different database. Select the option, Select the users that you want to move; click and add users (you can add users in the Select Mailbox window). Note: Users can be added using CSV file option too. Click Next when mailboxes are listed. Enter a name to the mailbox move. Under Archive, select the option Move the primary mailbox and the archive mailbox if one exists. Provide the target database name and bad item limit (ideally you can give bad item limit as 10). Click Next. Note: The Browse button opens up the Select Mailbox Database window where you can select and add an Exchange 2016 server mailbox database. 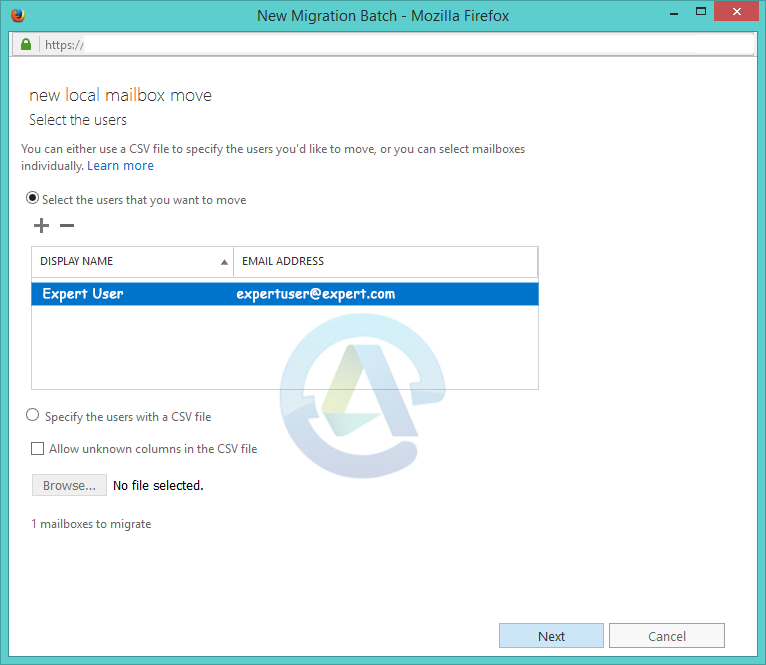 Enter the user to whom mailbox move reports are to be sent (the default entry can be modified using the Browse button); keep the option Automatically start the batch If you want to complete the migration automatically, keep the option Automatically complete the migration batch selected. Finally click New. 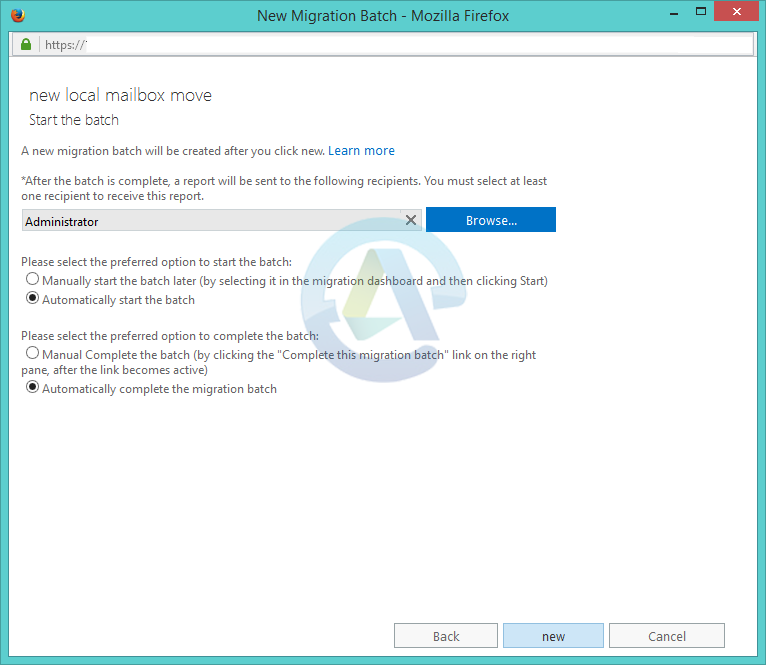 Note: To manually complete the mailbox moveIn recipients>migration, select the mailbox migration batch that is to be moved; click Complete this migration batch in the details pane (available only when batch is ready for completion). 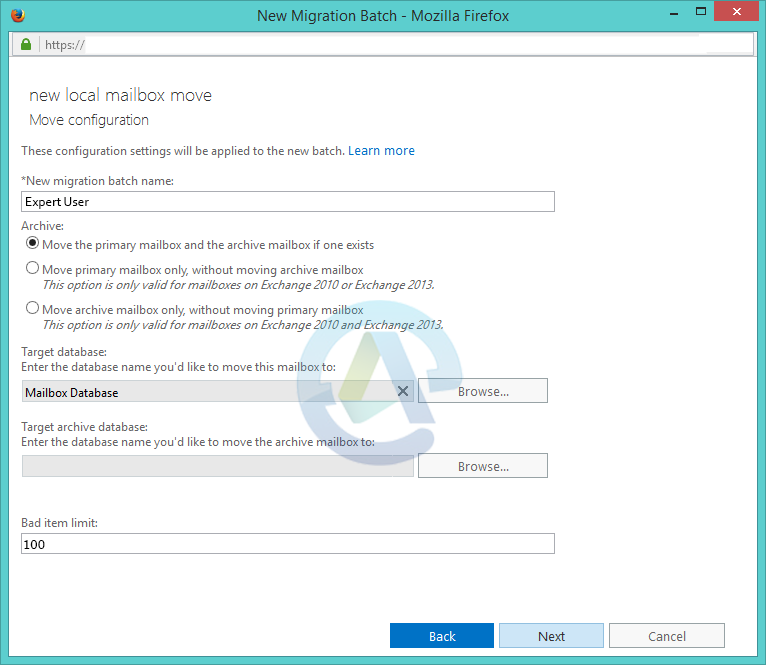 Now in recipients>migration, you can check the mailbox migration status in the details pane by selecting the migration batch. Click View details to get more details. 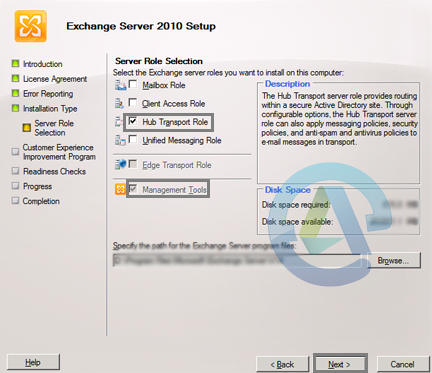 By following above steps you can easily migrate mailbox from Exchange server 2010 to Exchange server 2016.